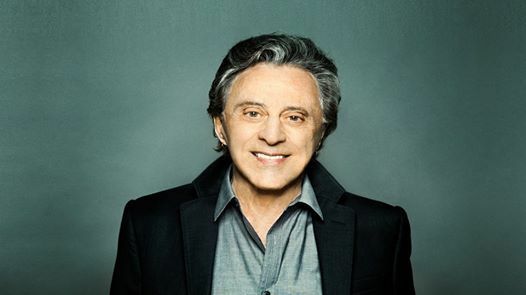 The original Jersey boy himself, Frankie Valli is a true American legend. His incredible career with the Four Seasons, as well as his solo success, has spawned countless hit singles. With unforgettable tunes like "Sherry," "Walk Like A Man," "Big Girls Don't Cry," "Rag Doll," "December '63 - Oh What A Night," "Can't Take My Eyes Off of You," and of course, "Grease." His songs have been omnipresent in other iconic movies such as The Deer Hunter, Dirty Dancing, Mrs. Doubtfire, Conspiracy Theory and The Wanderers. As many as 200 artists have done cover versions of Frankie’s “Can’t Take My Eyes Off You,” from Nancy Wilson’s jazz treatment to Lauryn Hill’s hip-hop makeover. musical JERSEY BOYS, which has been seen by over 25 million worldwide. The musical chronicles Frankie Valli and the Four Seasons incredible career and features all of their greatest hits.